This is sponsored by The American School of Symptometry. The American School of Symptometry is a 501(c)3 organization that specializes exclusively in Symptometry's root cause therapeuticsTM so that the cells cure and prevent diseases. Beyond the introduction is the advanced study of root cause therapeutics. In this course we will discuss applied chemistry, quantum physics and applied anatomy and physiology. We will learn what our cells must do in order to absorb nutrients, create protection and excrete toxins. By the end of this course, you will have a thorough understanding of the natural well-oiled machine we call the human body. This knowledge will allow you to apply Root Cause Therapeutics treatment correctly. This course is a prerequisite for the Disease Prevention Healthy Longevity program. 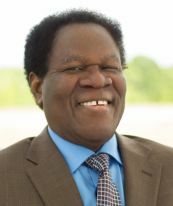 Author and founder of Symptometry: Originator of Root Cause TherapeuticsTM, Dr. Maxwell Nartey has helped countless people heal from chronic and acute diseases by removing known hindrances from the cells, from DNA, from blood and from the lymphatic system. He does this using a simple, but scientific 19-step method to nourish the cells, to maintain the body's electrical balance, and to boost the positive energy (nurturing) in the ailing individual's environment. Originally trained as a Doctor of Homoeopathic Medicine and a Doctor of Natural Health, Dr. Nartey is now also a current Fellow of the British Institute of Homoeopathy, a Doctor of Symptometry, a therapeutic scientist, a researcher and a Licensed Symptometrist. Is this course open to the general public? No! This course is part of the basic certification program for students enrolled in the American School of Symptometry. Is there a prerequisite for this course? Yes. In order to understand how Root Cause Therapeutics work to heal a person and cure a disease, you must first know the basics about the human body. You must have a working knowledge of the interdependent workings of organs and all systems. The vital organs are brain, heart, kidneys, liver and lungs. The systems include the circulatory, immune, skeletal, excretory, muscular, endocrine, digestive, nervous and respiratory. This course is designed for anyone interested in enrolling in any of the American School of Symptometry programs. This background knowledge of the human body's mechanics helps to lay a foundation for understanding how Root Cause TherapeuticsTM is applied. Is this course related to the American School of Symptometry's certification programs. Yes. This course illustrates that the lessons learned in the American School of Symptometry can be applied in real life immediately. The science-based approach to healing the human body is the same technique used in the certification programs. Email us at support@symptometry.com so that we may have a chance to rectify the reason you are unhappy. Again, this course is not for the general public. It is part of the basic certification program for the American School of Symptometry students. All e-courses count towards this certification. This is non refundable.